This traditional croft cottage boasts a stunning clifftop location on the beautiful Caithness coast with magnificent open views over moorland to the sea, sits within extensive grounds. The property offers a comfortable, warm and welcoming family holiday home with simple furnishings. The cottage is located just a couple of miles from the quaint old fishing village of Dunbeath, which has a fascinating Heritage Centre, village shop and pub. The neighbouring coastal villages have further excellent shops and are just a short drive away. Local activities include golf, river and sea angling, walking, climbing and trekking. If you’re looking to explore there are many sand and shingle beaches, local bird reserves and a ferry to take you to John O’Groats. The accommodation offers TWO bedrooms: 1 double and 1 twin. Bathroom: shower over bath. Lounge/diner: with open fire, flat screen TV. Kitchen: with electric oven and hob, fridge, freezer and microwave. Outside: enclosed garden to the front. Amenities: bed linen, towels, electric and initial supply of solid fuel included. 1 well-behaved dog welcome but must be kept under control near sheep. Additional Info: Regret no smoking. 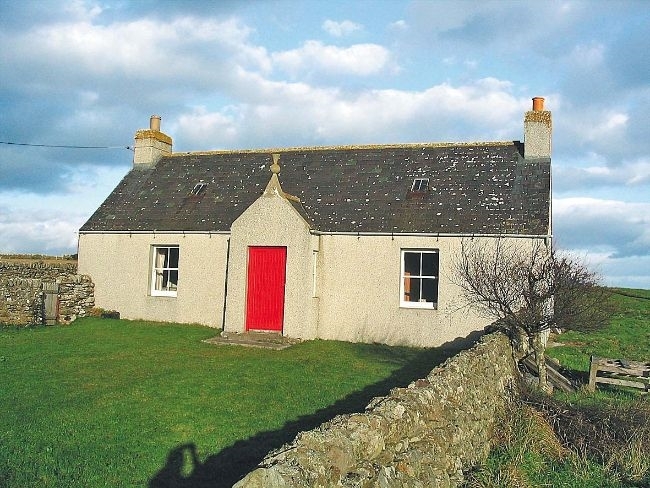 Location: village of Dunbeath 2 miles, Wick 21 miles, Strath 25 miles. Arrival: 4pm.